Festival crowds have extolled Cate Blanchett’s and Rooney Mara’s performances in “Carol,” the 1950s-set story of a demure retail worker who begins a romance with an older, married woman. Blanchett and Mara have been at the forefront of next year’s Oscar talk since the movie premiered at Cannes in May. But a third performance has received quieter kudos: Kyle Chandler in the role of Blanchett’s husband. Chandler’s feat is full of resolve, his character struggling to reconcile the love he still feels for his wife while recognizing that she does not share the same desire. His screen time is a fraction of Blanchett’s and Mara’s, but it turns out Coach Taylor has just the brooding masculinity and underlying sweetness to capture the sexual stifle of ’50s suburbia — and Todd Haynes knew that from the start. 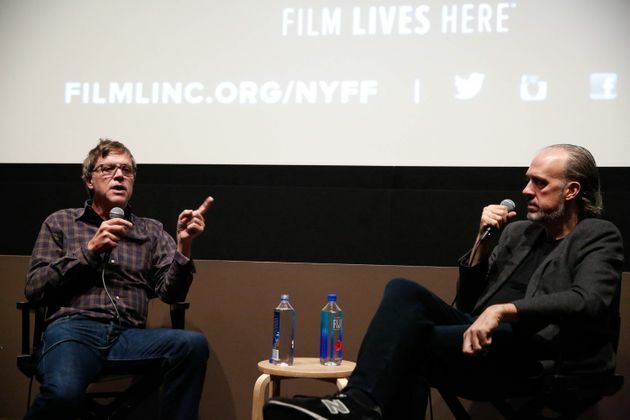 The director, whose previous movies include “I’m Not There” and “Far From Heaven,” participated in an hourlong Q&A on Saturday as part of the New York Film Festival’s Directors Dialogue series. There, he dissected his “Carol” influences — namely the 1945 British drama “Brief Encounter” — and explained his casting choices. ROB KIM VIA GETTY IMAGESTodd Haynes, left, speaks with New York Film Festival director of programming Kent Jones on Oct. 10, 2015. Haynes, who worked with Blanchett on her Oscar-nominated turn as Bob Dylan in “I’m Not There,” said he’d seen enough of “Friday Night Lights” to be “so impressed” with Chandler.